Although they explore different realms — politics, domesticity, identity, race and gender — the women are all united by their medium. In a print created by artist Edith Chávez, a girl stands in a floral dress, surrounded by petals and feathers. At first glance, the image is a dainty portrait of girlhood, rendered in warm pink and soft grey. But, the girl’s expression is mournful. And, on closer look, you notice the cause for her concern: she’s holding a plate of severed chicken heads. It’s a jarring realization that throws the pains of domestic duties into relief. Womanhood and the traditional tasks attached to it aren’t all rosy, Chávez says through her work. They can also be gritty, and anxiety-making. Chávez is one artist highlighted in an exhibit of women printmakers from Mexico on display at the Highpoint Center for Printmaking, titled “Sus Voces“ and curated by Maria Cristina Tavera. Like the others in the collection, she focuses directly on themes of femininity in her work, and currently lives or works in Mexico. Although they explore different realms — politics, domesticity, identity, race and gender — the women are all united by their medium. They each use lithography or primary relief to make their etched-like, earthy-looking prints. Contrasting Chávez’s work are the prints of Daniela Ramirez whose themes are more fantastical than gritty. A human with a winged creature for a head depicts a convergence of the man-made world and the natural world. Adding another aesthetic altogether to the collection, Diana Morales Galicia’s abstract, chaotic prints generate a feeling of unease. Seitu Jones, Oskar Ly, Maria Cristina Tavera, and Dyani White Hawk Polk were invited to join Minnesota Museum of American Art Executive Director Kristin Makholm to curate an exhibition that considers the complex question of, “what is American art?” American Art: It’s Complicated will present over 30 works from the MMAA’s collection, national galleries, and local public and private collections that question the definition of “American art” as related to nationality, identity, and geography. Each curator approached the exhibition with their own refined set of optics. They thought carefully about the complexities of American art as they see them, then selected works that provide creative form for some of these ideas. Seitu Jones will present a capsule show of work on loan from the Minnesota Historical Society by sculptor Maurice Carlton. Carlton was known for rummaging through the trashcans and dumpsters of the old Rondo neighborhood looking for found objects to transform into work that served as political commentary and African diaspora. The works selected by Maria Cristina Tavera call into question two assumptions: first, that “American” is limited to a landmass of united peoples; and second, that artists form collective national identities. Kristin Makholm’s lens on the subject can be viewed through works from the MMAA’s permanent collection. Her selections open up cracks in the concept of who belongs and by whose hands, eyes, and minds those ideas of inclusion are manifest. While Jones, Tavera, and Makholm took a critical approach to the question, the remaining curators approached the questions more abstractly. Works selected by Oskar Ly are an invitation for audiences to engage in discussion around the long-standing social exchanges that live beyond the walls of a gallery in distinct communities and collective experiences. Dyani White Hawk Polk’s selections promote dialogue about the innumerable possibilities of what could represent “American art." 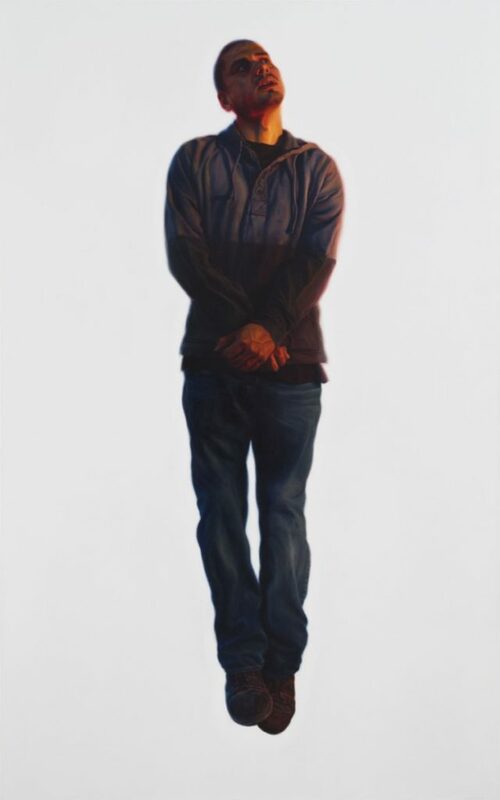 She hopes that every person that visits this exhibition feels the same weight of impossibility in presenting an exhibition that represents every facet of the American experience, including the artistic expressions that result from these experiences. “Pulp Drunk: Mexican Pulp Art” reintroduces this art form to public as a brilliant and often overlooked pop-culture revelation. This exhibition is a celebration of the art that graced the covers of the paperbacks released south of the US border yet also serves as a visual observation of the fundamentals of Mexican attitudes towards art and consumerism. 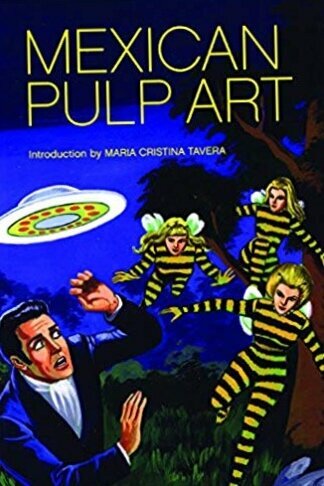 As Maria Cristina Tavera states in her introduction to the 1997 book Mexican Pulp Art, "The fantasy elements reflect Mexican attitudes about life, death, mysticism, and the supernatural." The show runs through March 7, 2015.